My heart skips a beat when I see a new sedum at a plant sale. I pillage my friends’ gardens for varieties I don’t have. I have more photos of sedums than photos of family members. Is this what genus-love feels like? Thus far, my relationships with plants have been Catholic in nature; I’ve never had a genus-crush. Now, with 70 taxa in my collection, I’ve fallen hard. 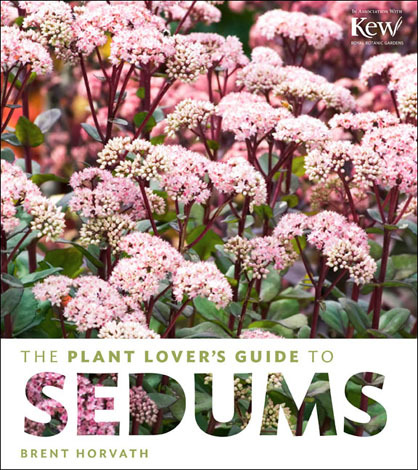 Sedums are easy to love, because in many ways, they’re perfect plants. • They offer spectacular foliage in shades of green, blue, gray, gold, red, and purple. Many change color throughout the year, and a few rival sugar maples in fall foliage. • Yellow, pink, and white flowers add to their appeal. The blossoms attract hordes of hungry pollinators with pollen (protein) and nectar (carbs). Because sedums bloom at different times of the year, you can keep the pollinator buffet going all season long. • They’re drought tolerant. 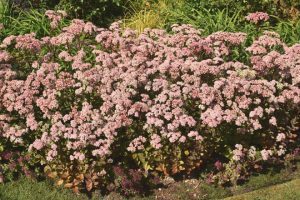 While most sedums do require some supplemental irrigation in summer, they’re much less water-hungry than other plants. West Coast, Mexican, and Mediterranean species are especially accepting of our dry summers. • They’re simple to grow. Most need only a sunny site, good drainage, and minimal irrigation to be happy. Problems are few and are usually minor, such as aphids or leafspot. • They’re sinfully easy to propagate. Most can be rooted from cuttings without a rooting hormone or any special equipment. Some can be divided just as easily. Another reason sedums have worked their way into my heart and my garden is their diversity in growth habit and size. 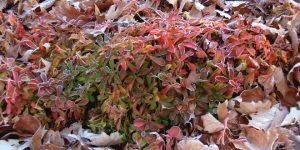 Some create a sharp-looking, weed-suppressing groundcover. Some form mid-sized mounds that make pleasing drifts or compact color spots. Tall, upright forms lend a bit of structure, even in winter. I’ll attempt to highlight my favorite sedums by growth habit. Taxonomists have overhauled the genus; I use Brent Horvath’s stellar book, The Plant Lover’s Guide to Sedums (Timber Press, 2014), for current nomenclature. Petrosedum ochroleucum ‘Red Wiggle’ This is a new one for me, but I’m excited about it. 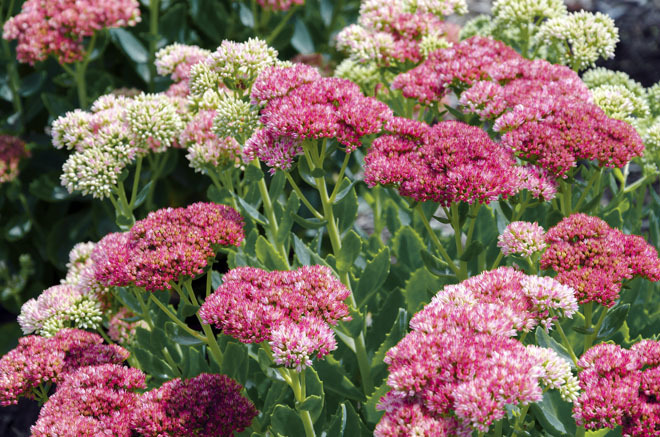 It’s like a bright red-leaved form of ‘Blue Spruce’ sedum with pretty, pale yellow flowers. Semi-evergreen; Zone 6. Phedimus ellacombianus and P. kamtschaticus These two are similar groundhuggers; P. ellacombianus is a bit more robust. They both feature clean green foliage, simple yellow summer flowers, and—the real payoff—rainbow fall color. Deciduous; Zone 4. Sedum divergens “Cascade stonecrop” isn’t a flashy plant, but it’s cute and tidy, and I adore it. This West Coast native makes a low mat of nubby green foliage in sun or part shade. It looks a lot like Sedum album ‘Athoum’. (If there’s one sedum I’ve regretted planting, it’s the aggressive S. album. The only one I’ve let back into the garden is S. album ‘Black Pearl’, which I’m watching closely). Evergreen; Zone 3. 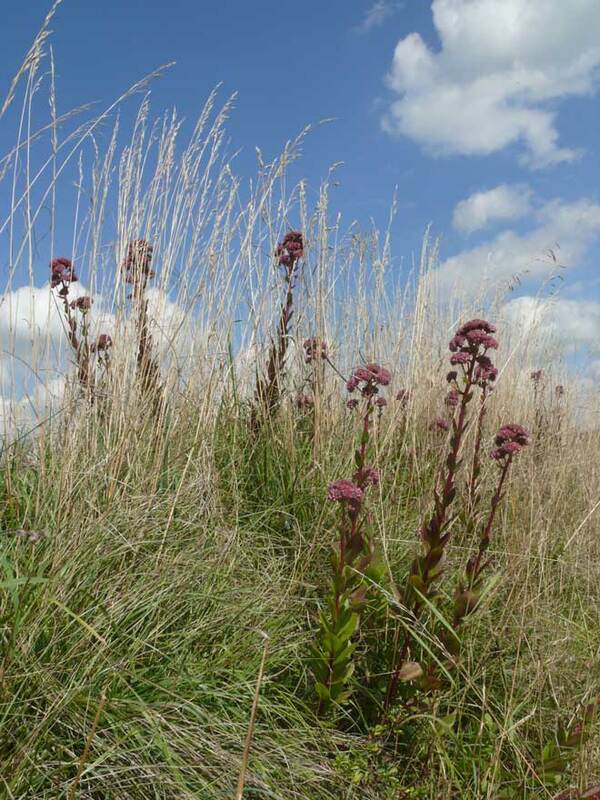 Sedum spathulifolium subsp. purpureum This evergreen Northwest native resembles the closely related ‘Cape Blanco’, except its leaves are a little bigger and they’re purple. Cold weather brings out the richest color. May brings brilliant yellow flowers that make a bold contrast with the somber foliage. Evergreen; Zone 5. Phedimus takesimensis This underappreciated sedum features an intermediate size (a 12-inch by 18-inch mound), glossy foliage, and winter color. It carries quite a lot of bright green foliage through the winter on woody branches. With the first breath of mild air in January or February, it starts growing again, and offers the usual cheery, yellow summer flowers. Semi-evergreen; Zone 4. 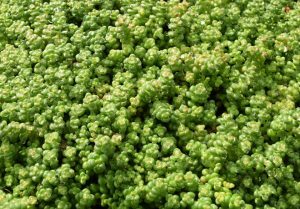 Sedum palmeri Palmer’s stonecrop has handsome, mint-green rosettes that flush red or pink around the edges in cold weather. 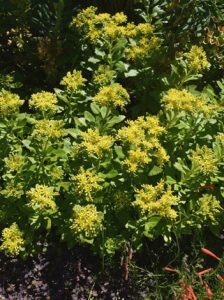 Starry yellow flowers erupt in May. This one seems to do better for me in light shade than in full sun. From Mexico; I give it almost no supplemental water. Evergreen; Zone 6.
of ‘Herbstfreude’ (‘Autumn Joy’) is a winner. I’ve grown the similarly variegated Hylotelephium erythrostictum ‘Frosty Morn’ and found it to be so prone to reversion that I consider it worthless. This sweet sedum rarely reverts to green. Deciduous; Zone 4. Hylotelephium ‘Matrona’ Sturdy and strong, yet elegant, ‘Matrona’ charms with gray-green foliage, burgundy stems, and soft pink September flowers. It displays some nice, subtle color shifts throughout the year, and the brown stems and seedheads are modestly attractive in the winter. It grows to 30 inches for me with very little water. Deciduous; Zone 3. Hylotelephium telephium subsp. ruprechtii ‘Hab Gray’ This plant is a refreshing change from the glut of pink-blooming fall sedums. Creamy white blossoms top striking blue-gray foliage. Pollinators love it, and they do their job because I find plenty of ‘Hab Gray’ seedlings around my plants. They aren’t difficult to dispatch, and maybe I’ll get a nice accidental hybrid someday. Deciduous; Zone 3. Site plants in full sun. Only a few sedums, such as Sedum glaucophyllum, Sedum ternatum, and Petrosedum forsterianum are truly happy in shade. Provide well-drained soil. My gravelly, silty loam soil suits most species I grow; with heavier soil, I might need to create raised beds or amend with gravel. Water occasionally. 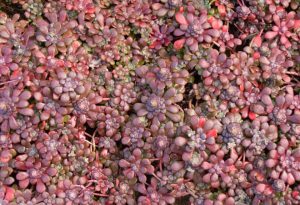 Sedums are low-water plants, but they aren’t no-water plants. Fertilize sparingly. Let your plants tell you when they’re hungry. Overfertilizing leads to rank growth and floppy stems.